The Molten volleyball range offers balls for players of any level, whether you're an experienced competition player or have never played before. Molten are responsible for a range of new technologies that have been introduced to volleyball, helping to provide a more sustainable, reliable ball that offers unrivalled performance and specification. 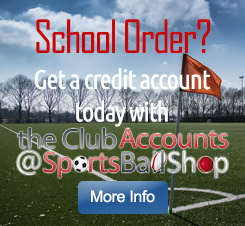 Molten have been appointed as the official ball supplier to British Colleges Sport (BCS). Their V5M5000 Flistatec volleyball, is the ball to be used for all BCS matches. Ever since the business was first established in Hiroshima, Japan in 1958, Molten have designed and manufactured sports balls, for all levels of play and have gained International recognition for quality. Sports Ball Shop are a leading supplier of Molten balls, understanding the importance of design, performance and new technology in sport.